Cleethorpes Academy Lunchtime Games Club to encourage Maths learning. Pictured is Alfie Hine with a puzzle ball. 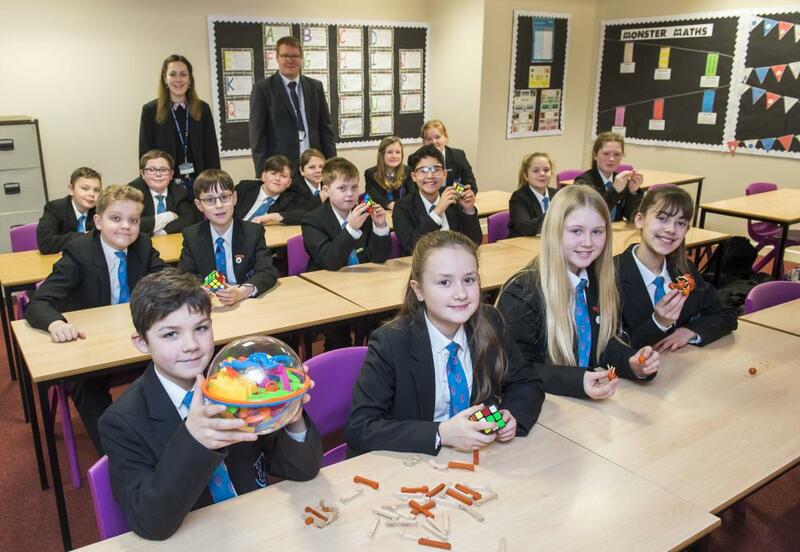 A lunchtime Games Club incorporating online and traditional puzzles has been encouraging students to extend their Maths learning. The club is aimed at Year 7 and 8 students and attracts at least 25 children per session. Students enjoy problem solving with games like Rubik's Cube and puzzle ball, along with online and 3d puzzles. 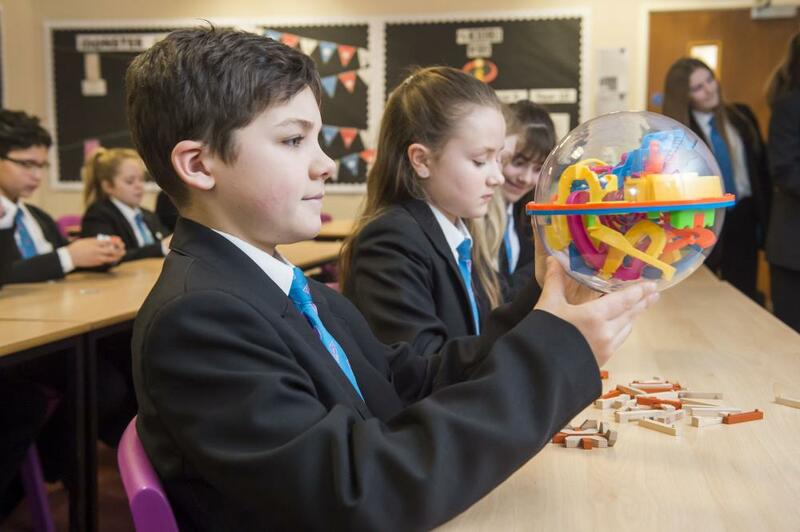 Elly Grice, Cleethorpes Academy Maths Teacher, said: "The games are connected to topics such as angles. They help with problem solving which has become more prevalent in the GCSE curriculum. They also make students think more for themselves." Pictured are some members of the club with Maths Teachers Elly Grice and David Sidebottom.